Why do so many Project have Problems? In my previous article, I started with the quotation that you cannot solve a problem with the same thinking that created it. 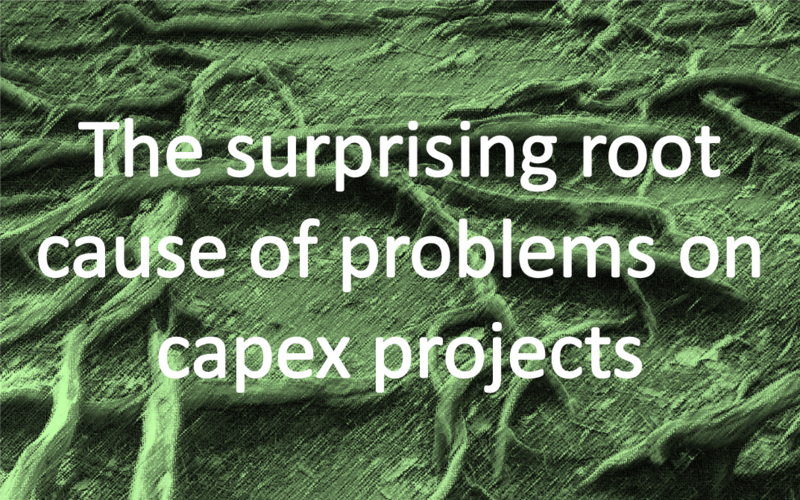 I also mentioned a few of the many research reports that collectively indicate that there are significant problems with how major capex projects are managed today. In order to improve it is not enough to know there is a problem, we need to know what is causing the problem. A good doctor doesn’t treat the symptoms, they look first to identify the underlying disease or injury, and they treat that. And if they get it right, the symptoms then disappear. Robert Bolton and I have mapped how the various ailments that affect projects are tied together, and what are the few assumptions and strongly held beliefs that underpin the prevailing approaches to managing capital projects. Our belief is that the root cause of most of today’s project difficulties is the practice of forcing certainty onto an inherently uncertain situation. This is one of the “deep truths” of the profession – it is taken for granted that it is the right thing to do. Projects are inherently uncertain – they have never been done before, they take place in the future, and the main team members are unlikely to have every worked together before. But what do we do in this unique circumstance? We try and force predictability onto the project. We ask project suppliers to bid fixed-prices for their work. When planning, we want fixed reliable deadlines for each task. 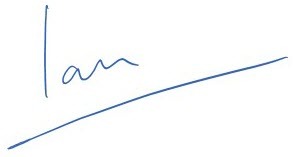 And we do this in the genuine belief that that is the way to maximise the change of a successful project. Sure there are many exceptions to these practices, but the underlying assumption to us seems to be that a fixed price and a firm task deadline is by far the best solution. Fixed price bids make comparing bidders easy, and we assume that the bidding process guarantees us great value for money. Wrong! Fixed prices add a very large risk premium, that we estimate can easily be over 30%. And for those who believe fixed-prices give them ‘cost certainty’, ask yourself just how often the original bid price is the final outturn contract cost? Firm task deadlines also make things simple for us. We add up the time taken for each task along the critical chain, and that gives us the project duration. We just make sure that most tasks hit their milestones, and the project will also come in nicely on time. Wrong again! A number of factors conspire to undermine this philosophy too – some behavioural and some statistical. Working with fixed cost and time estimates is just hiding reality. The prevailing managerial behaviour is to drive people on the project to be ‘better estimators’ and very reliable at delivery. But in fact, anyone who consistently hits their time and cost estimates is just good at playing the system. To start with they are not being honest when they say “this will cost $4.7 million and take 94 days”, because in reality they can’t know so precisely. The truthful thing to say would be that the cost would be “somewhere between $3.9 and $4.7M”, and that “it will take between 65 and 94 days”. Projects are not mass production. It adds significantly to the project cost and duration. Neither of which helps to deliver faster, cheaper and better projects. Another consequence of forcing certainty across the project comes from the way we contract the work that has to be done on the project. The project is divided into work packages, and different suppliers are contracted to deliver a package or combination of packages. Even if the client has just one main contractor as a supplier, they in turn will outsource the majority of the work to different companies. And because we have this ‘certainty mindset’, this means that each work package is treated as though it is independent. But of course we all know that a project is not in fact a loose collection of independent suppliers. Of course some suppliers are relatively independent of the main project, but not the main suppliers. How one contractor works can have a major impact on another, whether it is the structural contractor adding bracing that impedes the ventilation ductwork, of the designer who saved $100,000 in design time, but caused £150,000 extra construction costs and made the operation much less safe. Projects are a team sport, and if the team members done get on and collaborate, then it will be almost impossible to win. In fact team sports like soccer offer a great analogy for a project team. The project client is the owner of the team, and the manager and players are your suppliers. The owner doesn’t play the actual game, but they want the results, and they provide the money. And how they structure the club has a crucial impact on the success – or otherwise of the team. Imagine what would happen if the owner insisted on guaranteed results from each of the team members, and treated each one separately. Imagine if they chose their manager and players based on written proposals that demonstrated their technical proficiency, qualifications, CV and time-served. And for those who passed the required standards, the owner selected those with the lowest salary demand. And then with this team in place, the owner and manager held separate meetings to agree tactics with the defenders, midfield and strikers, who then practiced their required roles separately. The game plans came from a separate game controls manager, who worked for the manager. They produced a detailed plan for the game, defining what each player would be doing during each second of the game – running off the ball, tackling, passing and shooting. To help reward performance, there were separate bonus schemes in place for performance. The defenders earned maximum bonus if no goals were conceded, then a sliding scale losing $x,000 per goal conceded. The strikers earned a bonus per goal scored, and the midfield were rewarded based on successful passes to the strikers and tackles made. The team loses 5 – 6. The strikers are happy, they get a great bonus. Defenders aren’t and don’t. The team draws 0 – 0. The defenders are happy, they get a great bonus. Strikers aren’t and don’t. Even a 0 -1 loss, might lead to the defenders being reasonably happy, only having conceded one goal. You don’t have to be a football fan to understand what impact this would have on the team, and I would be very surprised if such a team could survive in today’s professional sport. But isn’t this close to how many projects work? Designers and contractors rarely train and play together. They have different contracts and reward incentives. And many are selected as the lowest-priced compliant bidder. Select your team players based on basic capability, and their ability to work as part of the team. Align incentives – for example win a game – everyone benefits. Use mistakes to learn from as a team, not to find an individual to blame and punish – after all we all know that 80% of performance is luck! Plan only in enough detail to guide the game and give some structure. You know you can’t predict with any precision exactly what will happen when. If this kind of behaviour makes sense in a team sport like soccer, then why wouldn’t it work on a capex or construction project? We know that this can work on projects, and will help deliver the same kind of performance improvements that you would expect to see in the soccer team. In the next article in this series, I will describe how this kind of team can be established on a project – how you would select the supply team members, how you contract with them, and how you can start to build a strong team relationship.